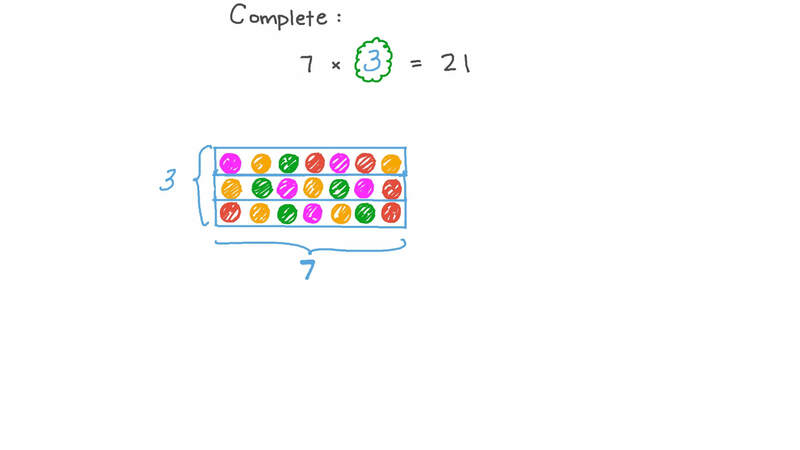 In this lesson, we will learn how to multiply by seven, using objects to aid in calculation and the seven times table. Bassem bought 7 books for 5 pounds each, and 6 pens for 2 pounds each. If the remainder is 6 pounds, how much money did he have? Calculate 7 × 4 .